Many blessings on your church and your community as you enter a time of pastoral transition. Along with the Cabinet, the Arkansas Conference Center for Vitality has assembled some resources and information to assist pastors, leadership teams, and Staff/Pastor Parish Relations Committees as you journey through this season of simultaneously saying “goodbye” and “hello” to your pastors. S/PPRC Annual Timeline This timeline shares expectations for the appointment/assessment cycle and suggested topics of discussion for a full year of monthly S/PPRC meetings. New & updated! 50 Ways to Welcome a New Pastor The Lewis Center has provided a list of “50 Ways to Welcome your New Pastor” that offers suggestions like offering childcare during the move, cutting the grass, stocking the parsonage kitchen with staples, providing gift certificates to local business and restaurants, and handling all repairs before the moving van appears on the horizon. This two-page list also offers several ways to help your new pastor get to know the congregation and the community. Checklist for Pastors in Transition The checklist should be included in the transition packet that the outgoing pastor gives to the incoming pastor. This list is not meant to be exhaustive, but it will help the current pastor and the lay leadership begin to gather the basic information that will help the new pastor during the transition. Outline for a “Baton Passing” Meeting The included questions are designed for a “passing the baton” handoff meeting between the incoming and outgoing pastor. They may be in writing, or included as part of the handoff meeting and church/parsonage tour. If needed, the SPRC Chair and Lay leader may need to be included in this or a similar meeting. 50 Ways to Improve Pastoral Transitions This document, written from a pastoral point-of-view, offers several tips to help your congregation say “goodbye” and “hello” well. “So You’re Moving…” Guidance for Pastors in Transition Bob Kaylor, author, speaker and senior pastor of a growing Church in Monument, Colorado, offers a 10 step overview of the best practices of churches and pastors who do pastoral transition well. Based on extensive research and proven results, this Seedbed Short will offer helpful guidance to pastors and churches in transition. Bob is also the author of Your Best Move: Effective Leadership Transition for the Local Church. Log into Seedbed Publishing for the free download. Downloadable resources for circumstances such as receiving a female pastor for the first time, cross-racial appointments, and wisdom for church leaders receiving young or single clergy. 2016 Parsonage Change Reminders This document includes parsonage standards and a step-by-step guide for churches and pastors during a change in clergy. The Lewis Center for Church Leadership, located at the Wesley Theological Seminary campus, provides a plethora of tools for clergy and congregations experiencing a change in clergy leadership. Bill Wilson of the Center for Healthy Churches says that the arrival of a new minister can be a marvelous opportunity to start anew for both the minister and the congregation — but only if the pastor steers clear of four common traps that can derail the new relationship. Angela Denker describes how stewardship and giving can be difficult in times of pastoral transition in churches. She says it is critical that stewardship be rooted in faith and in God’s mission, not in the individual pastor’s particular vision. About this time each year, many clergy prepare to begin new work in new places with new people. Some of it will feel familiar. Some challenges will catch us off guard. There will be unexpected blessings. Nothing will feel as overwhelming as it does on the first day, but it will not be as easy as we might like either. Over the years, Hannah Adair Bonner has had the opportunity to enter many dramatically different places with a continually changing array of new faces. Here are some bits of wisdom she has picked up on how to make an entrance. What challenges are most commonly faced when pastors move from one ministry setting to the next? Lovett H. Weems, Jr., says four key challenges are dealing with family and emotional issues, paving the way for one’s successor, understanding the culture of the new ministry context, and saying goodbye in a way that provides closure. In a relay race, the two runners exchanging the baton run in tandem in their changeover zone lane of 20 meters. For most runners, this distance is covered in about seven steps while the receiving runner grabs hold of the baton and sprints out on the next leg of the relay. If you are an arriving pastor entering into the changeover zone, Jim Ozier believes that these six specific behaviors will increase the odds of a smooth and successful transition. Robert A. Harris believes that one of the most important gifts a new pastor can give to the congregation in the first year and beyond is to be clear about not knowing. Be open and curious. Lead with questions. Learn as much as you can. The announcement has just been made: the pastor is moving! Whether you are the pastor making the move or part of a congregation receiving a new pastor, transition is a time full of both anticipation and anxiety. Your Best Move: Effective Leadership Transition for the Local Church is designed to help pastors and congregations develop an intentional transition plan for those first critical months of ministry together. The key transition tasks outlined in this book will help you create momentum and move the focus of pastor and parishioners toward a great future together for the work of God’s Kingdom. Dr. Bob Kaylor is Lead Pastor of Tri-Lakes United Methodist Church in Monument, Colorado, and the Senior Writer for the preaching journal Homiletics. He leads workshops on clergy transitions and preaching. 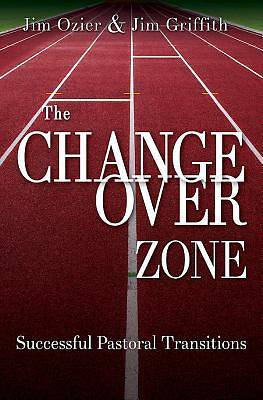 The Changeover Zone addresses a critical and perennial need in the church: the process of handing the baton of pastoral leadership from one person to the next. Authors Jim Ozier and Jim Griffith offer practical, clear instructions and guidance for both clergy and congregations. They provide detailed sections especially for clergy who are taking over from a founding pastor and for those replacing long-tenured pastors. The book is packed with real-church examples, helpful tips and tactics that have been proven successful. This resource will expertly guide pastors, supervisors, and congregations in nearly any church setting or denomination. When leadership change happens, both laity and clergy must be prepared to manage the transition process. As the SPRC chairperson, you are preparing to share the news of a pastoral change. At the same time, the pastor and church council chairperson may be identifying new leaders to help move the church forward while they are developing people to complete unexpired terms. This webinar will help all leaders gain insights about praying for the pastor, leaders and the congregation as they transition into a new leadership season. This webinar will also help participants develop ministry actions plans and identify dates when the congregation can bid farewell and embrace new leadership in healthy ways. 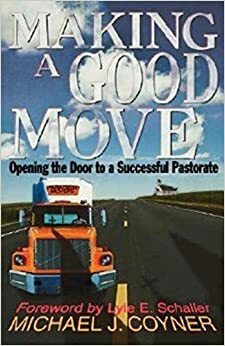 Book Resource: Making a Good Move: Opening the Door to a Successful Pastorate by Michael J. Coyner. Though the early months and years of a new pastorate can be stressful and difficult, they can also be particularly fruitful. These new beginnings can be among the most rewarding times of a pastor’s career, especially if the minister seizes opportunities for establishing and strengthening relationships with church members and plans carefully for the transition out of the initial “honeymoon” period. Drawing on years of experience as a pastor of local congregations as well as extensive work supervising pastors, Coyner provides solid, sensible guidance on making a good move into a successful ministry. ePub Book Resource: A Change of Pastors … and How it Affects Change in the Congregation by Loren Mead. Twenty years after Critical Moment of Ministry was first published, Loren Mead returns to his groundbreaking work on one of the most important times in a congregation s life the time between one pastor s leaving and another s arrival. In this revised edition, A Change of Pastors, Mead shares the wisdom he gained from 35 years of studying congregations, wisdom that he hopes will allow congregations to take full advantage of this extraordinarily pregnant moment during which incredible congregational change can happen. One of the joys of being a global and multiethnic church is that we can learn from each other, even from those who are very different. Cross-racial and cross-cultural ministry settings are those congregations whose membership is different than their pastors. But how can churches get the most benefit from these opportunities? How can pastors minister faithfully, even where there is subtle resistance to change, or even overt racism or xenophobia in some congregations? Unique challenges arise when a church is served by a pastor from a different racial or cultural background or as it struggles to engage a changing community. Jasmine Smothers, the first African American lead pastor of First Atlanta United Methodist Church, has led several workshops in Arkansas and she shares her perspectives on ministry in cross-cultural settings in this short article from the Lewis Center. Email vicki.davis@arumc.org to RSVP for the Pastors in Transition workshop by May 1. You will receive an agenda and directions once you are registered. Pray daily for this transition. Be bold to intercede for the church you are leaving and the congregation that will receive you. Seek God’s comfort and guidance for your family and for yourself as you make your move together. Carefully read your Appointment Letter and bring it to the Pastors in Transition Workshop. It outlines the reasons you are being sent the mission field that is your new appointment. It also includes expectations for your first 18 months of your ministry there. The letter will be a resource for our table group discussions during the Transition Workshop. Prepare and bring a Missioninsite demographic report for your new appointment’s mission field. The Missioninsite webpage is http://missioninsite.com/. Click on “Registration” in the Client Center (top right corner) and it will take you through the process for registering for an account. At some point it will ask you for the conference code. The conference code is 1xiv8. Please use the Report Wizard (under “Tools” to the upper left) to choose and print your ExecutiveInsite Report for a 3-mile radius (please adapt study size as needed for your mission field). If you are having difficulty, call your district office. Bring this report with you. Meeting information for 2018: The 2018 meeting is 10-4 at St. James in Little Rock. We will be meeting in the youth and gym facility (320 Pleasant Valley Drive) across Pleasant Valley Drive from the main campus. The doors will open at 9:00am, and a continental breakfast will be served from 9:30am-10:00am.